Living in Southern California, it’s nearly impossible to avoid the motion picture industry. It’s everywhere. From the little yellow and black corrugated plastic signs denoting the location of shoots, to street closures for filming, to weirdly running into celebrities. You see the glamorous side of the industry all the time, in blogs or on TV, but it’s the other side of the industry that truly fascinates us. 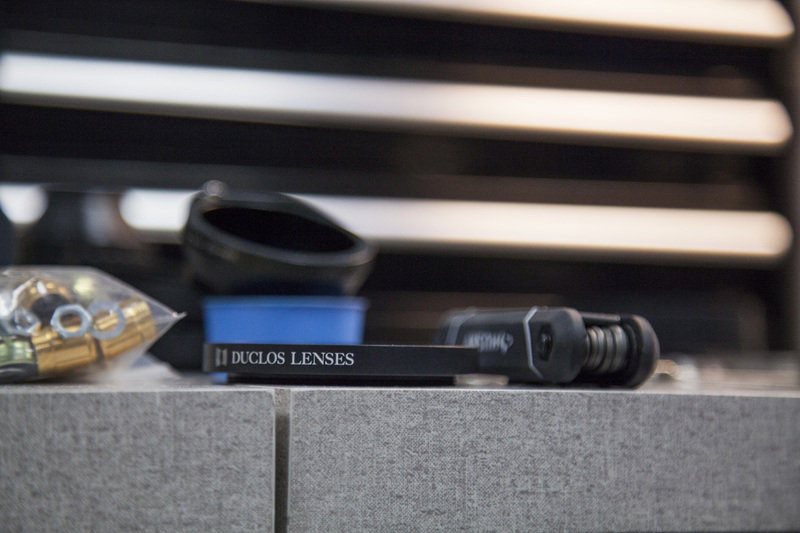 We love learning about what goes on on the other side of the camera and it’s that which led us to Duclos Lenses in a nondescript industrial area in the San Fernando Valley. This little grey cinderblock building is responsible for keeping shoots running on schedule and for making movies look good. We were recently granted access to their facility to see how they do what they do. 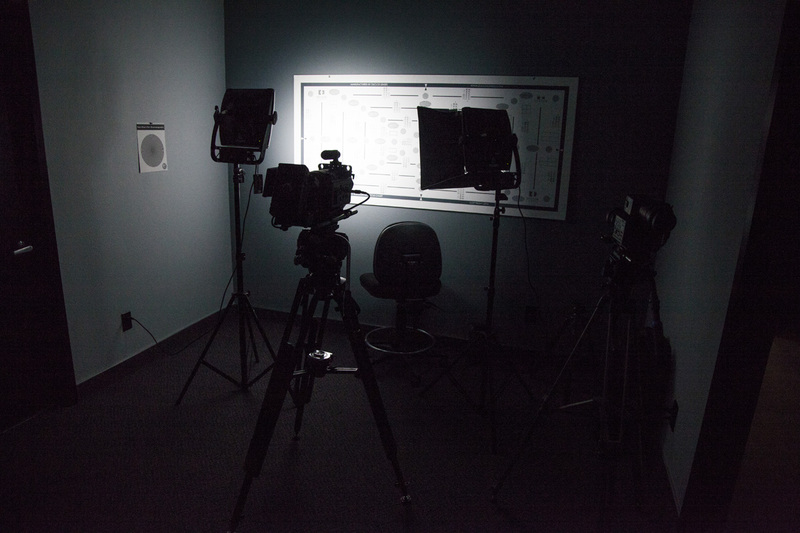 Something that may not be immediately obvious to those not familiar with the film business is the fact that many production houses and studios don’t own their own lenses or cameras. From a financial standpoint it makes more sense for them to rent their equipment from one of the big rental houses and that way they can avoid the cost of maintenance and repair and only get equipment when they need it. Add in the fact that every director or cinematographer has a specific look or style in mind for each production and the economics of renting really begin to stand out. 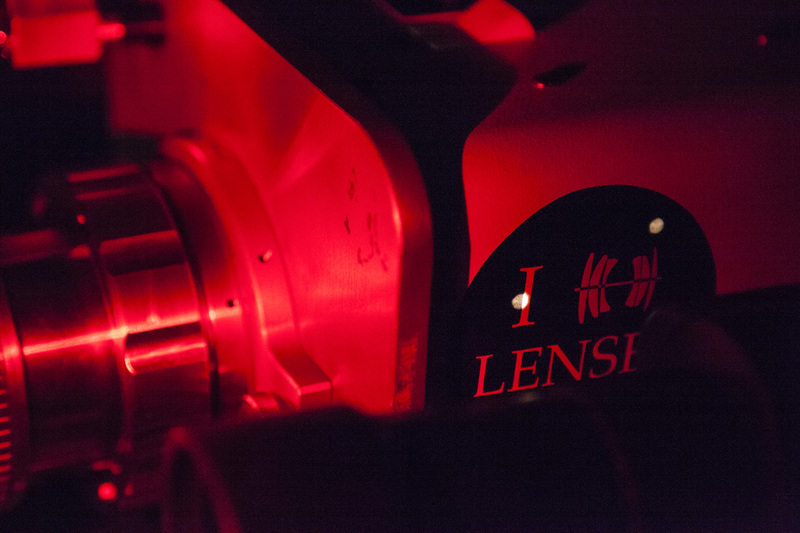 Many of these rental houses have on-staff maintenance and repair people who are trained and equipped to perform basic work but in the event that a lens suffers real physical damage or needs a complete overhaul, they contract their work out to Duclos Lenses. 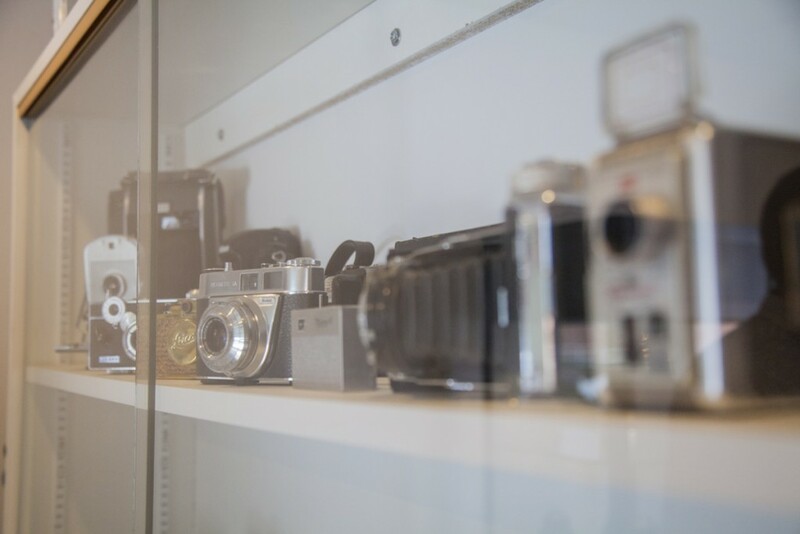 Duclos Lenses got its start in the early 2000s when Paul Duclos decided to strike out on his own after having worked for a number of rental houses such. 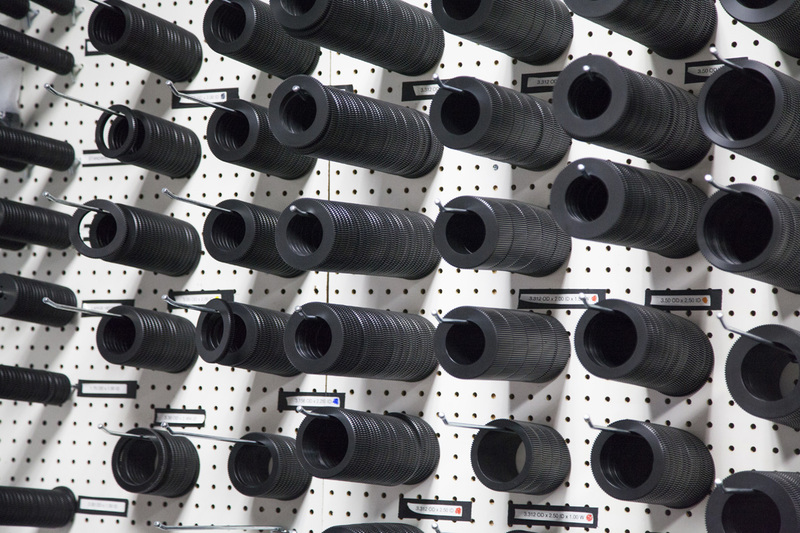 He set up shop in Chatsworth and began repairing and modifying lenses for customers. He brought his family in with him, including his son Matt Duclos who is now the chief operating officer and project manager. Together with several highly skilled technicians and engineers, they built Duclos into one of the film industry’s most respected repair facilities. 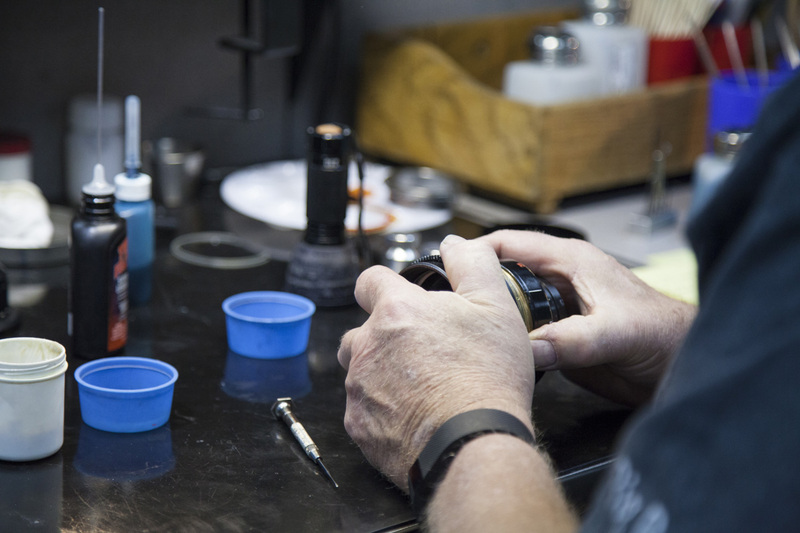 They regularly work on newer production and irreplaceable vintage lenses, maintaining and in some cases modifying them to customer’s specifications. 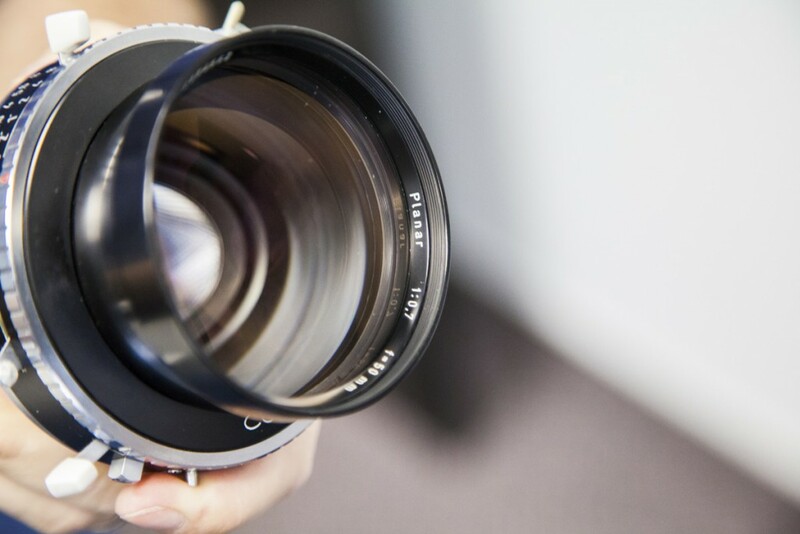 One of the lens modifications that Duclos pioneered is the so-called “Cine Conversion” which involves taking a lens originally meant for a still camera and adding gear drives for focus and aperture rings as well as “de-clicking” the aperture. This opens up a huge wealth of affordable classic lenses to filmmakers on a budget as well as those looking for a specific aesthetic on their project. 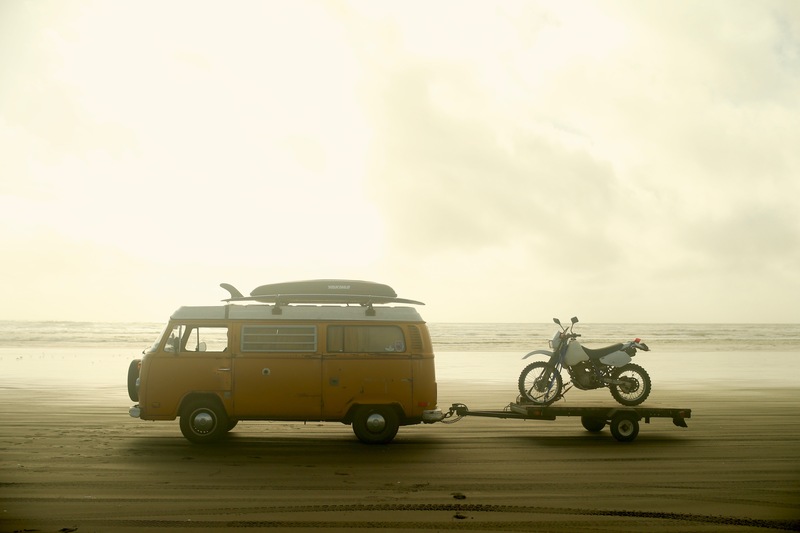 Duclos does hundreds of these cine conversions in a week. In fact they’d just finished a batch of 30 three lens sets for a school when we were touring the facility. 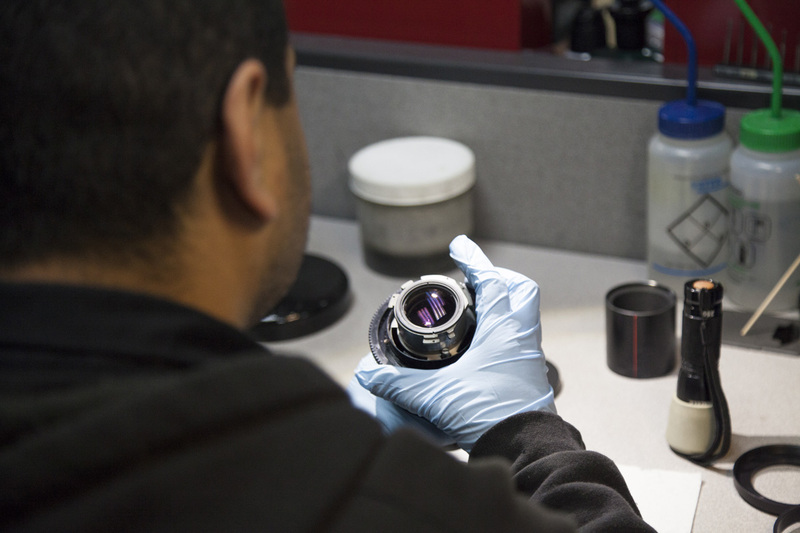 Refurbishing a motion picture lens is an incredibly complex process that involves many hundreds of tiny pieces and requires surgical cleanliness and unparalleled organization. 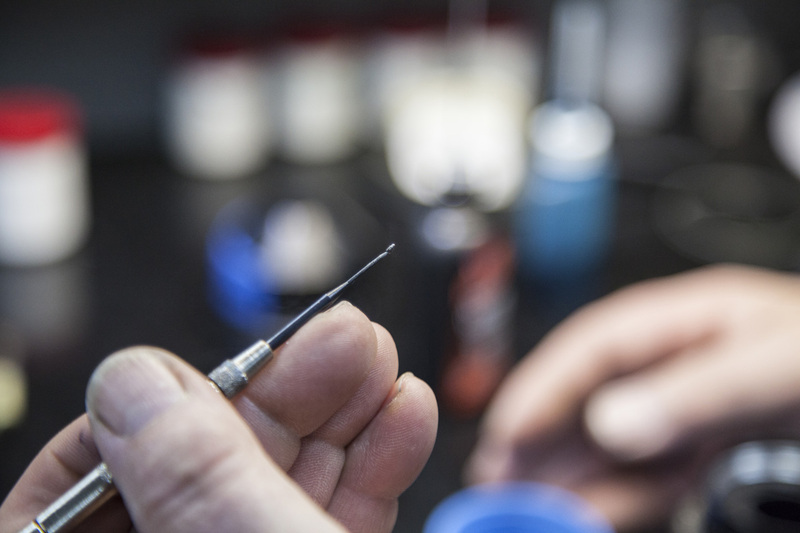 Watching Ned Martin, one of Duclos’ highly trained lens techs, reassemble a big prime lens (prime lenses, for the uninitiated, are lenses with a fixed focal length as opposed to a zoom lens) was not unlike observing a watchmaker work on a Patek Phillipe. 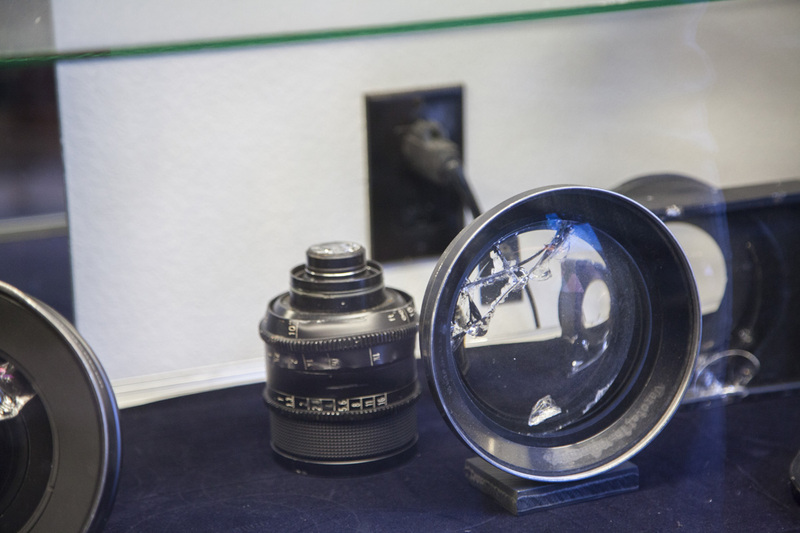 It’s an art that requires many years of experience to do well, and given that Duclos works on a variety of lenses from different manufacturers and time periods, it’s even more impressive that Ned is able to tear apart and rebuild a lens in less than a day. The lenses are all kept in huge safes when they’re not being worked on and peeking inside it’s almost difficult to grasp the monetary value contained within. Each of the lenses can be worth well over $100,000 with some ranging much higher than that. Among the treasures that Duclos was working on when we visited was one of the legendary Zeiss 50mm f0.7 lenses that Stanley Kubrick purchased for his work on the film Barry Lynden. 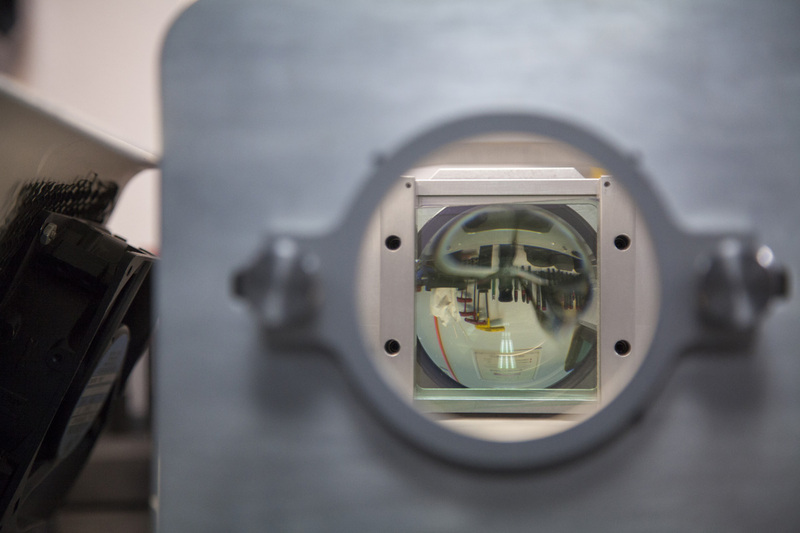 The lens, one of 10 ever made, was constructed by Carl Zeiss for NASA in order to photograph the dark side of the moon. NASA bought six of the ten lenses, Zeiss kept one, and Kubrick bought the last three. Of those three Kubrick had two modified to work with his Mitchell BNC camera and the last he kept stock, for parts in case one of the other two failed. 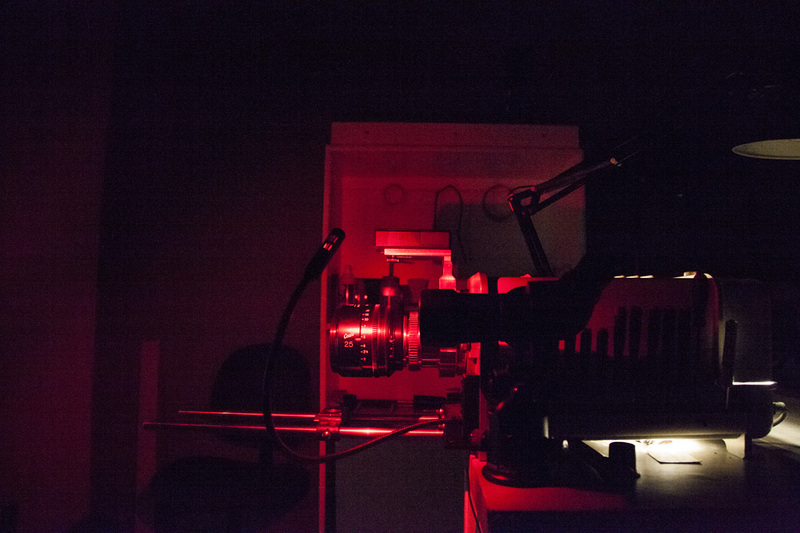 This last lens, the parts lens, is the one we were fortunate enough to see at Duclos. The amount of glass in the lens is staggering. Normal 50mm still camera lenses are fairly compact and only a couple of inches in length, sometimes less. This lens, which at f 0.7 is nearly two full stops faster than an f 1.2 lens, is nearly six inches in length. 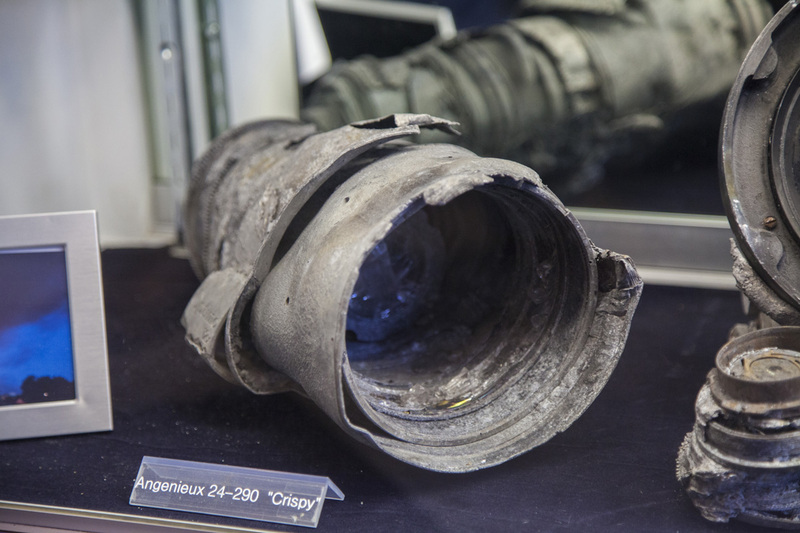 The lens also has a built in Compur shutter, designed to work with the Hasselblad 500 cameras that NASA sent to space. The design of the lens has much of the lens itself protruding into the camera body and its this that Kubrick had to have changed so that it wouldn’t interfere with the film plane. He also had the Compur shutter modified and the aperture adjustment changed to work for cinema. 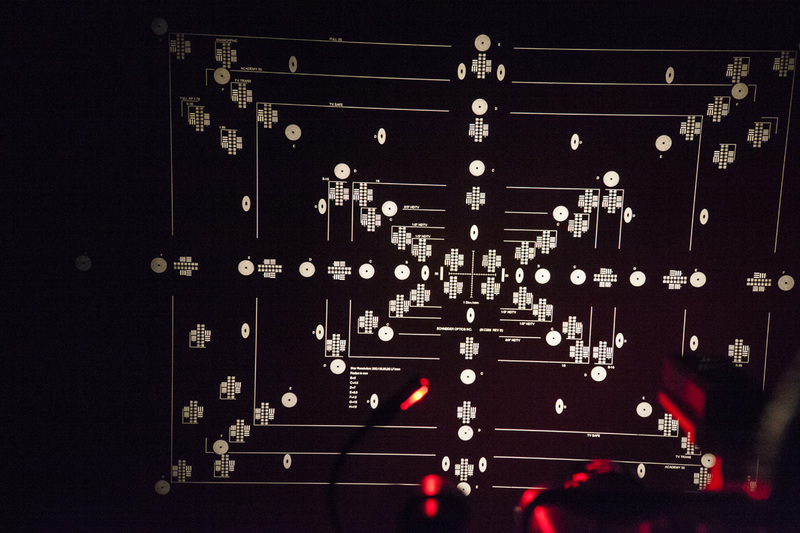 It’s a deeply impressive piece and having recently watched Barry Lynden, the beauty of the lens and its ability to work with only candlelight is staggering. 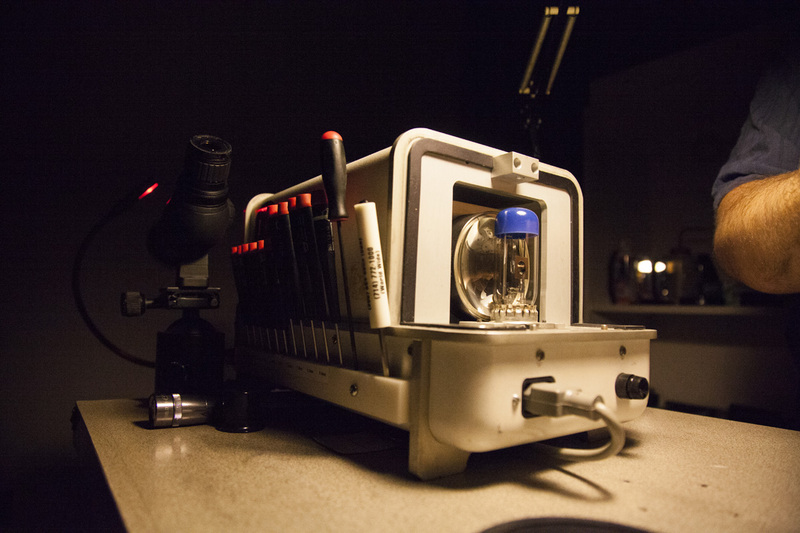 Of course, making repairs and modifications is only useful if you can check your work and to do that, Duclos uses a classic piece of equipment that uses a powerful bulb to project test patterns through a lens which immediately lets the technician know if there are any aberrations or imperfections in their work. The problem with this projector is that the bulbs used in it are huge and produce an incredible amount of heat. They are also somewhat unpredictable in regards to their lifespan. To solve this problem, Duclos’ head engineer Alex Nelson has been working on an LED replacement for the old incandescent bulbs. 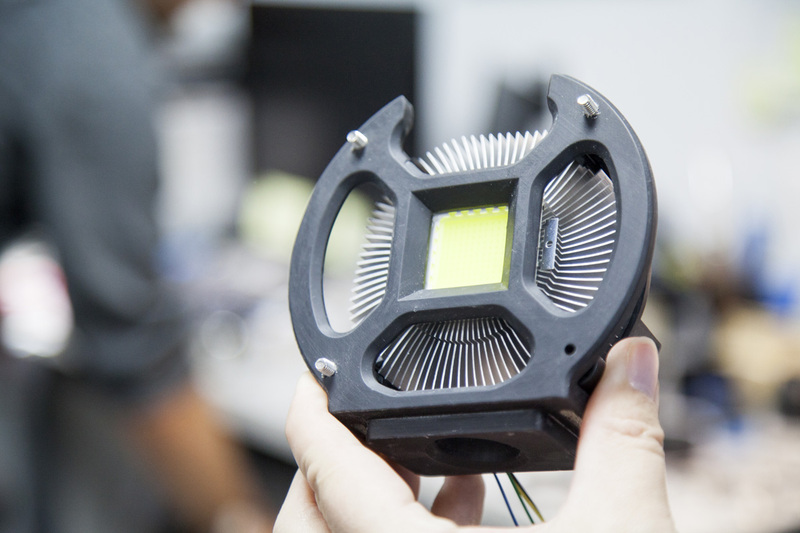 Using CAD/CAM and a stereolithography 3D printer, he designed and produced an apparatus that holds the largest LED that we’ve seen and the heat sink and fan needed to cool it so that they can all be plugged into the old test machine. 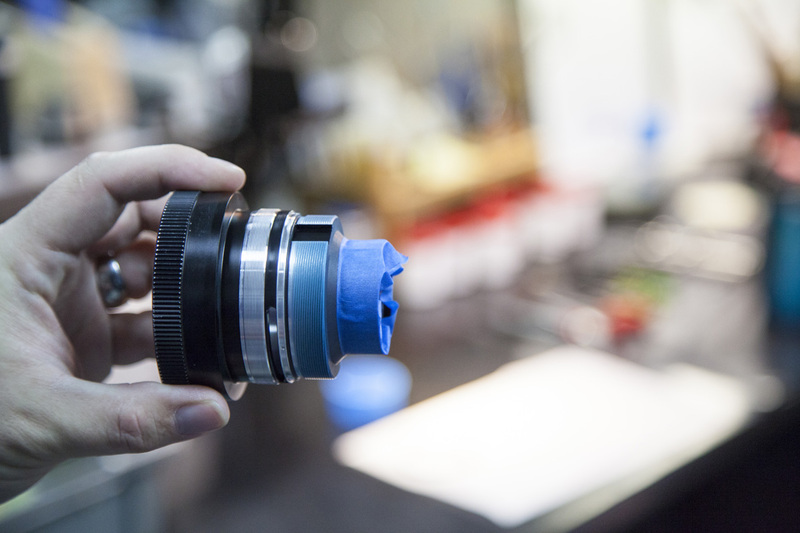 In addition to solving problems like those plaguing their test equipment, Alex Nelson also works on new parts for use in lenses. 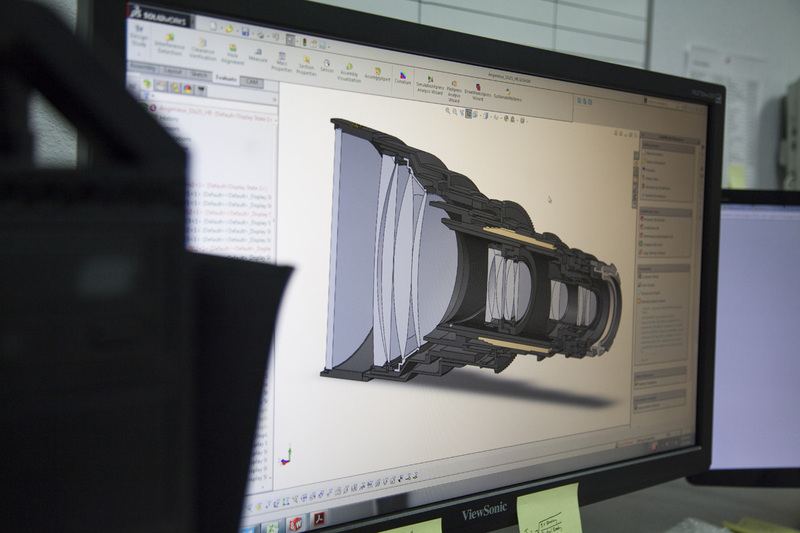 They’ve started manufacturing their own iris blades which is an extremely precise and exacting exercise, even when compared to the rest of the work they do at Duclos. He also creates different gear rings for lenses and a whole host of other parts for client projects or future in-house modifications. 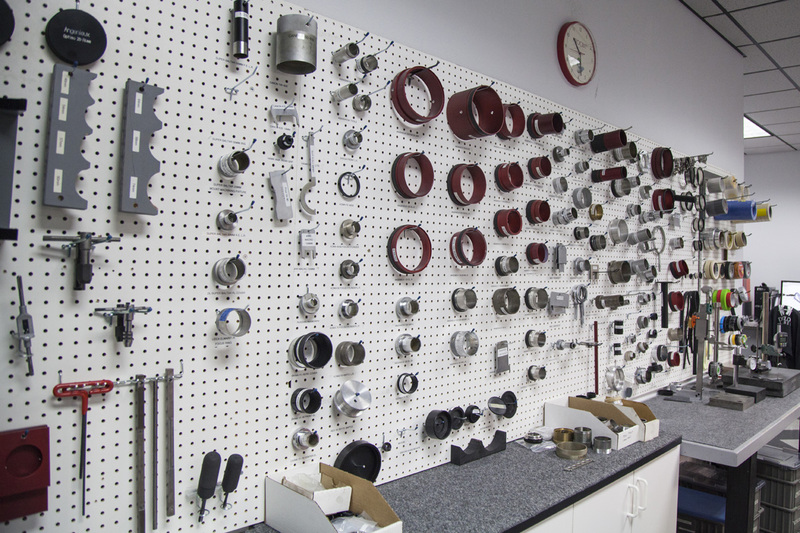 Manufacturing of parts at scale is handled offsite by any number of the San Fernando valley’s many aerospace-grade machine shops. Duclos clients come from all over the globe with the majority of them being situated in here in Southern California, but they’ve gotten equipment in for repair from clients in places as far away as Africa or New Zealand. It goes to show that if you find a niche in your industry and then work to be the very best at what you do and treat your clients well, business is not going to be a problem. 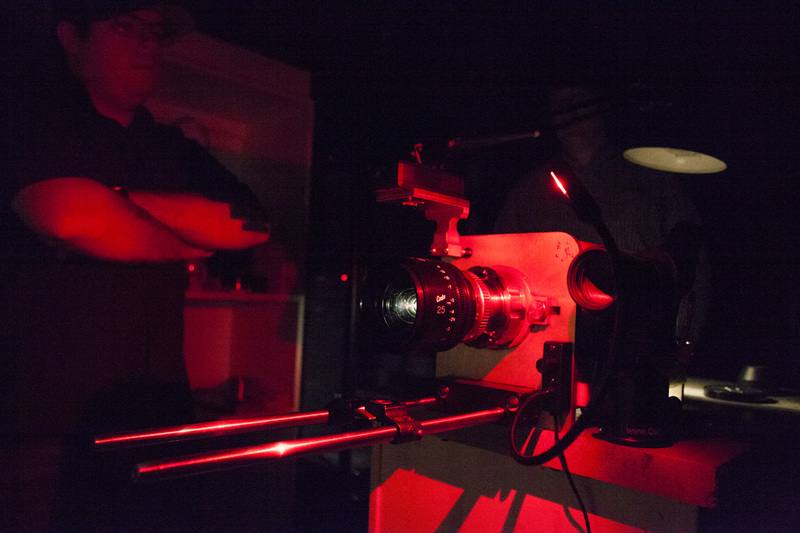 Duclos Lenses is fortunate in that they’re always busy and with the motion picture industry showing no signs of slowing down, we think they’re going to be busy for a long time to come.